Right now, turmeric is the hottest spice around, and I’m not talking about spicy-hot! Turmeric lattes, golden milk, golden lattes have hit the headlines, becoming the most sought-after, talked-about drink, since, well, activated charcoal lemonade?! But turmeric-infused hot beverages is a trend I can really support. I’ve been drinking golden milk for years myself to benefit from its hormone-balancing, hormone-supportive qualities. The most popular recipes you’ve probably seen include turmeric, coconut oil, and a non-dairy milk like almond. I have my own personal spin on this recipe that I particularly like and will share below. The turmeric turns the milk a delicious deep golden color, hence the name, and now this is popping up on menus at health-conscious restaurants and cafes all over the country. Celebrities like Gwyneth Paltrow are singing its praises, and hip eateries like Cafe Gratitude have made it a staple of their menus. Essentially this is about circulation of life-giving blood flow. Certain spices, like turmeric, improve circulation to all organs – including the uterus and ovaries. The better the blood is flowing, the more oxygen is present, the better their health – boosting fertility. The FLO Living protocol is partly based on this ancient TCM understanding of the energies of foods – it is why I recommend raw foods for the follicular phase, but warm, roasted, and warmly spiced foods for the luteal phase. Turmeric (specifically the curcumin in turmeric – which is what makes the spice yellow/golden) is lauded as superior in its healing properties to common medications. Looking at the research, you can see why. Curcumin is a powerful anti-inflammatory, which has benefits for treating gastro-intestinal issues and period pain. 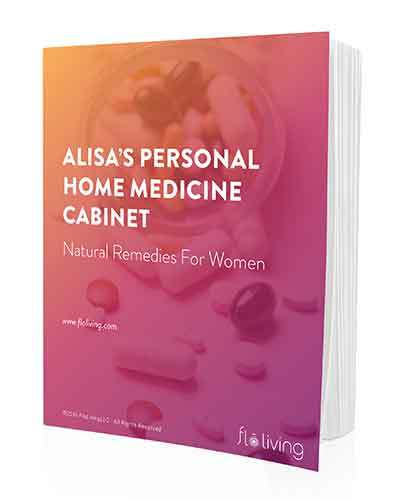 It is also blood sugar stabilizing, which is important for all women who are hormonally-sensitive and suffering with everything from PMS to PCOS. Because turmeric increases blood flow to the uterus it can also help with regulation of periods and supporting the development of healthy periods. Curcumin has been shown to decrease and slow the growth of uterine fibroids as a result of its anti-inflammatory properties. Studies show it can be protective against the development of breast cancer and ovarian cancers. Curcumin may also be beneficial to those women suffering with endometriosis. I drink my golden latte every day in the late afternoon, however there are a few other ways I like to incorporate turmeric into my diet. My golden latte recipe – I keep a batch of homemade “golden paste” in my fridge at all times to make this simple and easy for a daily drink. I like to incorporate making a golden latte as part of my relaxing, grounding period rituals too. If this seems like too much work for you and you’d like a shortcut (I’m all for making more time for yourself), Gaia has created a ready-made golden milk powder – all you need to do is add the milk! First, do you have period cramps? Second, are you suffering with endometriosis? I love this reminder to make a golden latte. I have had them but never made one for myself. I have two questions. Wouldn’t it be better to make this with fresh turmeric? It seems like it would be part of the “rage”:) to start making them with the fresh roo:t. I wonder if you have explored fresh root to dried spice and noticed a difference? Also, I was curious about using black pepper. I thought that black pepper can be stored in chemicals/some people are more sensitive to it. I always grew up with my mom only using cayenne as it had more known medicinal properties. Thanks again. Make sure you use organic black pepper! Different peppers have different properties, it is great to vary your foods! But using cayenne is certainly a great option! And yes, the fresh root is great if that is easily available to you, but if not, the dried root works as well! First, I want to say that I love you and all that you are doing (and your book which has a permanent spot next to my bed). Second, I wanted to check, the coconut milk in this recipe, is this the really thick one in a can or the watered down one in a carton like Silk Coconut Milk? And finally, is this something to drink everyday if you are working on balancing your hormone or just in the luteal and menstrual phases? A really appreciate all you are doing. I would use the less thick one, or you can use a few tablespoons of the thicker one mixed with water. Please check the ingredients of the milk you get to make sure there aren’t too many additives! Thank you so much Alisa, I will mix real coconut milk with water to avoid all the additives. 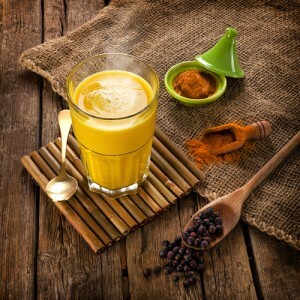 Is it safe to drink the turmeric milk while you are pregnant? I am anxious to try this! I hope it works!!!!! Hopefully it will help me conceive. Good luck and tons of baby dust! I find that turmeric stains my teeth yellow. I use is sparingly for that reason. Does anyone else find this? Just a followup, is this golden milk something to drink everyday if you are working on balancing your hormone or just in the luteal and menstrual phases? Hi Alisa, is there any reason it would be a bad idea to add the vanilla and cinnamon (and possibly honey too) to the refrigerated paste, to make it even more convenient? Thanks! Hi, I thought I read in your other materials that stevia can increase miscarriage risk. I’m surprised to see it in this recipe. Stevia may interrupt conception. So if you are trying to get pregnant, please use another sweetener! Hi Alisa! I followed your turmeric paste recipe with great success! Is there any alternative in capsule form to the paste? I find it difficult to keep up with making the paste and find the taste horrid so I easily fall out of the routine of having it. Thanks! I just started take the Tumeric 500mg on monday. I’ve read it best to take it at night. I currently do have endometriosis, hormonal imbalance, cyst, fibroids and polyps. I wanted to know will this really work. I’m trying today away from “prescribed medicines” and do all natural ingredients. I have had three miscarriages all due to chemical imbalance “hormonal”. Please tell me this will work with fertility and all other reproductive issues listed above. Thanks ladies!